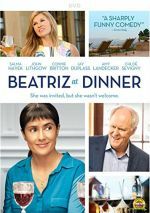 Best known for her sexpot roles, Salma Hayek plays against type in 2017�s Beatriz at Dinner. Beatriz (Hayek) grew up poor in Mexico but she manages to find her calling as a holistic healer to severely ill clients as well as some of LA�s wealthy elite. After she treats super-rich Kathy (Connie Britton), Beatriz can�t get her car to start. She�ll need to wait hours for a friend to come and fix it, so Kathy invites Beatriz to stay for a dinner party. This leads to a culture clash as Beatriz mixes with Kathy�s one-percenter friends. As I noted at the start, Hayek goes against her usual cinematic image as the semi-frumpy Beatriz, though this doesn�t mark her first move down that path, of course. Most notably, Hayek opted to play the lead in Frida as an artist partly remembered for her unflattering unibrow. 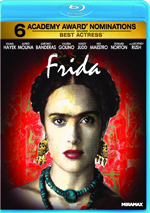 At least Frida Kahlo boasted a certain vivacity, though, which we don�t get from Beatriz. Hayek�s role here stands out not because she�s less than glamorous � she differs from the usual Hayek part because Beatriz feels so bland and �average�. Which I wasn�t sure Hayek could handle because I�m used to her in more effervescent roles. Even when she played a struggling single mother in How to Be A Latin Lover, she still looked great and boasted some of her natural charisma. To her credit, not only does Hayek tamp down her inherent sexiness as Beatriz, but also she tones down her usual vivacity. She gives Beatriz an inherent oddness and vulnerability that really work, so Hayek creates a strong performance here. To be sure, Beatriz comes across as someone more than a little askew. In a more traditional film of this sort, Beatriz would be an angel of sorts, a pure, totally wonderful human being the audience embraces without hesitation. But as captured here, Beatriz doesn�t play that way. On paper, she seems like an ideal: an immigrant who overcame destitute environs who also cares deeply about the health and well-being of others. How could Beatriz not be a one-dimensional �perfect being�, especially when the movie offers so many cartoon villains against which to contrast her? Dinner easily could�ve made the other diners cheap stereotypes and allowed Beatriz to float above it all. And to some degree, the film does falter in that way, mainly because it tends toward the aforementioned stereotypes of the wealthy partygoers. Kathy gets the most three-dimensional portrait of the bunch, but even she boasts questionable motives: does she really care about Beatriz or does she offer to help our lead simple out of some form of liberal guilt �affirmative action� plan? While Kathy�s personality seems up for grabs, the others come across as much more trite � especially Doug (John Lithgow), the business tycoon at the center of the party. As good as Lithgow is, be doesn�t get much room to maneuver here, so Doug always remains something of a stock �uncaring rich white guy� character. Because the movie revolves around Beatriz, these issues seem less important, especially because she turns into an unconventional �hero�. We really should bond with her and be firmly on her side as she navigates the tricky waters of these ultra-wealthy people, but Beatriz often seems so damned odd that she alienates us and fails to fully capture our affection. A more conventional movie would play up Beatriz�s �fish out of water� issues and go for a more buffoonish vibe, but even with the character�s quirks, Hayek maintains a solid sense of integrity. She lacks understanding of social cues and comes across as off-putting, tendencies Hayek doesn�t attempt to soften or negate. Dinner loses its way some as it proceeds, but I still think it works well as a whole. It musters a good character piece with enough social commentary to give it bite. Beatriz at Dinner appears in an aspect ratio of approximately 1.85:1 on this single-sided, double-layered DVD; the image has been enhanced for 16X9 televisions. Within the parameters of SD-DVD, this became a mostly solid presentation. Colors seemed low-key, with an emphasis on light orange and teal. These choices felt less than exciting, but the DVD represented them adequately. Blacks provided reasonable depth, while shadows appeared fairly smooth. Ultimately, the image worked fine for its format. Don�t expect fireworks from the film�s Dolby Digital 5.1 soundtrack, as we got a mix heavy on a dialogue. While we got occasional instances of score and environmental material, this all remained low-key. This became a restricted track for 5.1. Audio quality was fine. Speech seemed natural and concise, and the score demonstrated pretty good vivacity. Effects did little to tax my system but they were clear and accurate enough. Overall, this ended up as a passable mix for a dialogue-heavy movie. The disc opens with ads for Lady Macbeth, How to Be a Latin Lover, Dean, The Dinner, and Mine. We also get the trailer for Beatriz at Dinner. With a strong lead performance from Salma Hayek, Beatriz at Dinner delivers an engaging character drama. It avoids potential pitfalls to become an involving tale. The DVD offers acceptable picture and audio but lacks bonus materials. This winds up as a well-executed exploration of its topics.